We are in the process of updating this website with additional photos and information about the events and people noted in Dad's diary. Please revisit the site in future for updates. 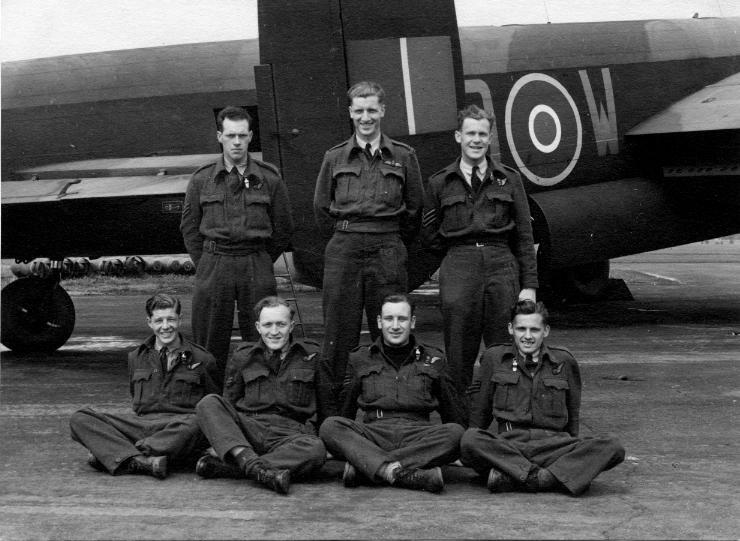 We are currently trying to track down information on our uncle, Charles Stanley Rutherford Edwards, a gunner with 115 Squadron, who was killed on the mission to Munster when his Wellington bomber was shot down off of The Netherlands in July 6/7 1941. If you have any information about him or his crew, we would very much appreciate hearing from you through the Guestbook. 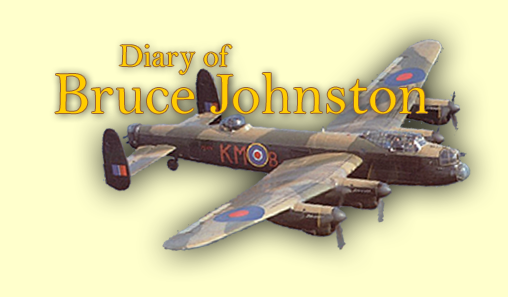 This website chronicles the training and tour of operation of Lancaster bomber pilot Bruce Johnston, through the diary he kept during his time with the RCAF in 1944. 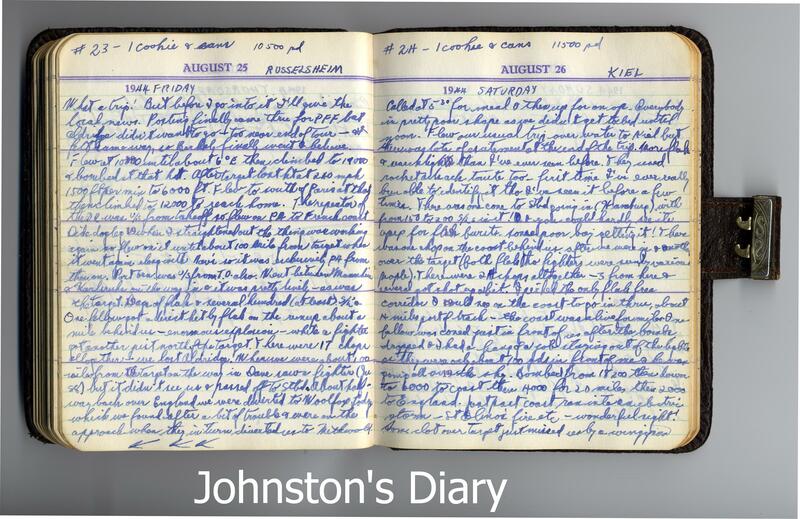 His diary listings are transcribed here word for word, and provide a fascinating, and unedited view of life for a young Canadian pilot in both Bomber Command, and Britain during World War II. Notes accompany each diary page, to help explain the technical terms, 1940’s colloquialisms, and to help keep track of the large number of people coming and going through the narrative. Much of this additional information is summarized in the Terms, Colleagues, and other menu buttons on the left of the screen. We hope you enjoy reading his story, and encourage you to sign our guest book, and provide any comments you have on this site.